Photography in the mountains. 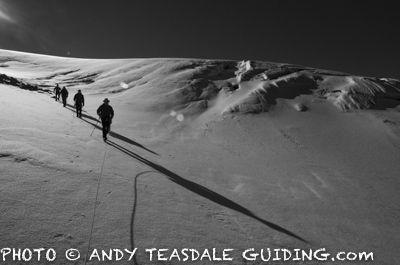 Andy offers a fantastic guiding experience for all levels of photographers within the mountain environment. My mountain photography pages are currently under construction, but here’s a bit of information to let you know what is coming. The courses that I am designing require a bit of thought so that they work for photographers in the UK aswell as in the Alps. My UK based courses will teach you how to look after yourself in the British mountains, so that you can safely and confidently venture off the beaten track to achieve a wider range of mountain photographs. I will also be offering a guided service to explore mountain photography in the harder to reach places. My alpine courses will predominantly be a guided service where we will venture into the alpine mountains to achieve a variety of mountain photographs. Courses will include day trips and overnight hut trips where my international alpine guiding qualification and skills are put to good use to get you into some truly wonderful alpine locations. Ratios and prices will vary depending on the itinerary for the week and the numbers that I can safely guide. 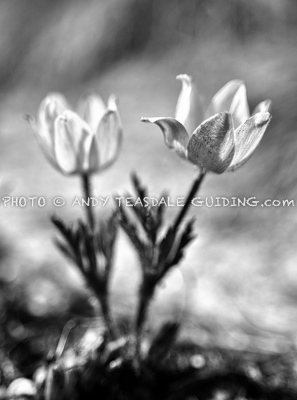 I will also offer an alpine skills course for photographers who want to learn how to look after themselves in the alps. 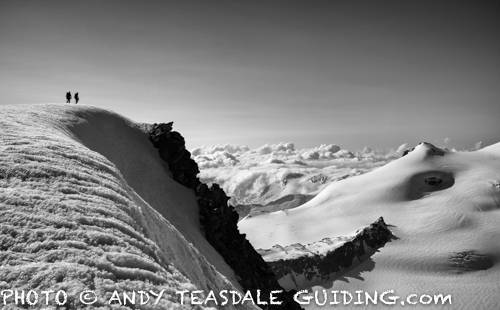 If you are keen to learn more whilst these pages are being created, please feel free to contact me on andy@andyteasdaleguiding.com.